One of the most important parts of a water filtration system is the filter; industrial bag filters work much the same way a coffee filter works. The filter is made of a porous material that allows the water to flow through the filter but small enough to capture solids and particulates. Industrial bag filters are recommended for medium to fast water flow rates because they trap the solids while allowing for a rapid flow rate. All Water Systems offers a large range of industrial bag filters to fit most filtration systems and meet most application requirements. Bag filters vary by material, consecution, and most importantly, the filtration size usually designated in microns. We offer housing units to hold the bag filters in place during filtration in both carbon steel and stainless steel, and we recommend stainless steel because it won’t corrode or rust like regular carbon steel housing units. Our high performance filter bags feature durable materials and strong seams to ensure long term usage without the problems of separation or breakage. Our over 30 years of experience helps us to determine the right industrial filter bag to meet your water processing needs and work with your new or existing filtration equipment. 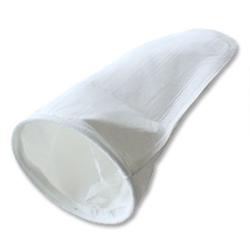 For More Information on industrial filter bags, call (412) 824-6560, or click here to contact us.